Jessica is enjoying some time in the sun and sitting on a blue and red striped beach towel. She has her suntan lotion and glasses with her. 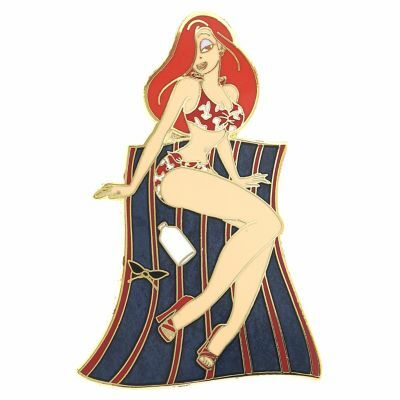 She is wearing a red bikini with white Roger Rabbit head icons on it. 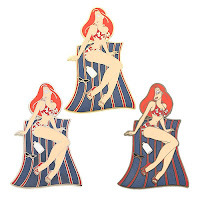 This pin was designed by Jennifer Oliver and the original artwork was sold online. 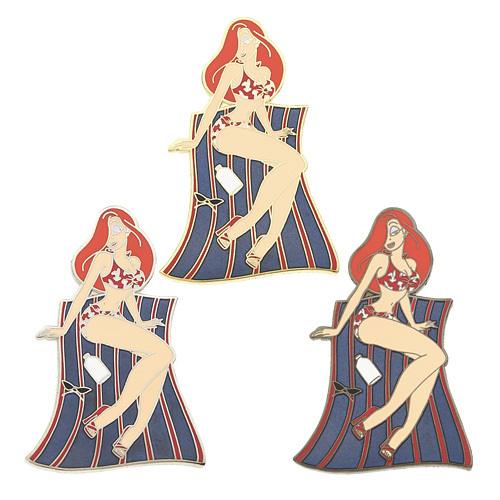 This pin was also available as a one-of-a-kind Artist Proof set in gold, silver and black metals.